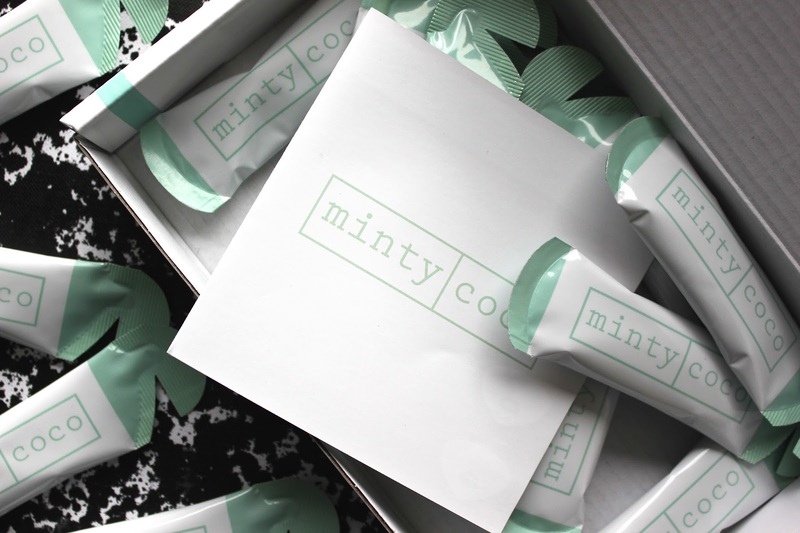 I was kindly gifted a 2 week trial of MintyCoco’s teeth whitener. I’ve always been a little dubious about teeth whitening, mainly because I don’t want to turn out looking like Simon Cowell, but also because the products I’ve heard about contain horrible chemicals in them. 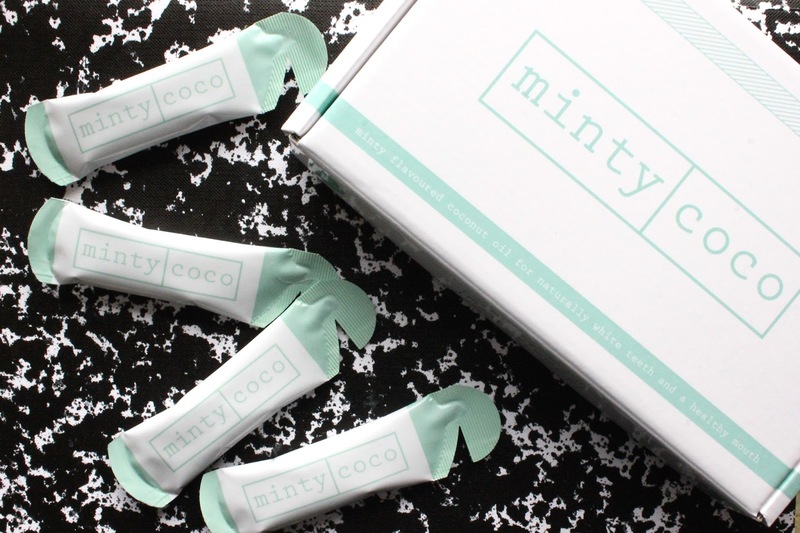 I was drawn to MintyCoco because they use a method called oil pulling- essentially where the nasty bacteria that lurk in your mouth are killed off, leaving you with naturally whiter teeth and fresher breath. The sachets also only contain two ingredients: pure virgin coconut oil and peppermint essence, so no nasties in there. I started adding MintyCoco into my daily routine. It's definitely easy enough to slip in- I would do mine before I cleaned my teeth in the morning or evening, normally while getting dressed or taking my makeup off. Why then, I hear you ask? Because you have to swish the oil around your mouth for 5-15 minutes, and I'm not one of those people who can sit still doing one thing for that amount of time. I was glad about the flexibility of the time you were given to use the solution, as I mainly stuck to using it for about 5-8 mins. It was almost like a mini workout for your mouth if you went on any longer! One of the other reasons why I kept the time to a minimum was because I really wasn't keen on the solution itself. The consistency felt really strange in my mouth, and I had to be really careful not to swallow any. Not that it would have done me any harm, but mainly because it left a strange aftertaste in the back of my throat that only mouthwash could get rid of. I was also a bit underwhelmed about the taste of it. As a mint lover, I was expecting and looking forward to a strong peppermint taste, but the taste was incredibly weak. The whole process, unfortunately, became more like a chore than something I enjoyed trying. Now for the results! After such a lengthy process, I was expecting an obvious result. 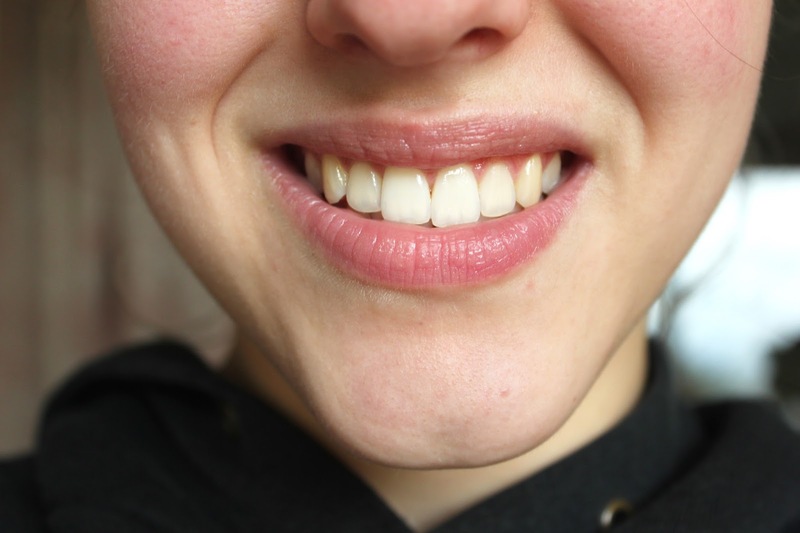 I would say that my teeth are quite white already as I try to look after them as much as possible (if you want me to do a post about my dental care routine, do let me know), but I do have some slight staining on my teeth at the side, so tried to swish the solution around that area the most. 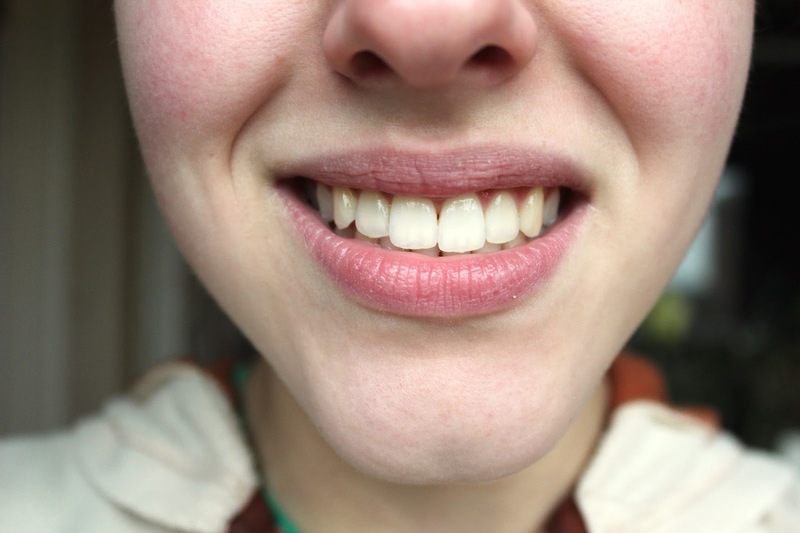 Below you can see before and after shots of my teeth, and just have a look at my side teeth. Can you see the difference? No, me neither. I was actually quite gutted by the results: even though the colour had improved slightly, they were not as white as I expected them to be. I know that this is probably not a perfect example of using the product- I did skip days when I forgot or was not at home to use it. Also, it's possible that if I'd have used the solution for the full 15 minutes, I may have seen better results. But the result of this trial is definitely not the only end result. You may try it, and absolutely love it! I also don't want to slate MintyCoco, as they seem like a legitimate brand that are really trying to make their product as good as possible. At the moment they are offering a 3-day trial, so if you fancy giving it a try, you can buy it here. 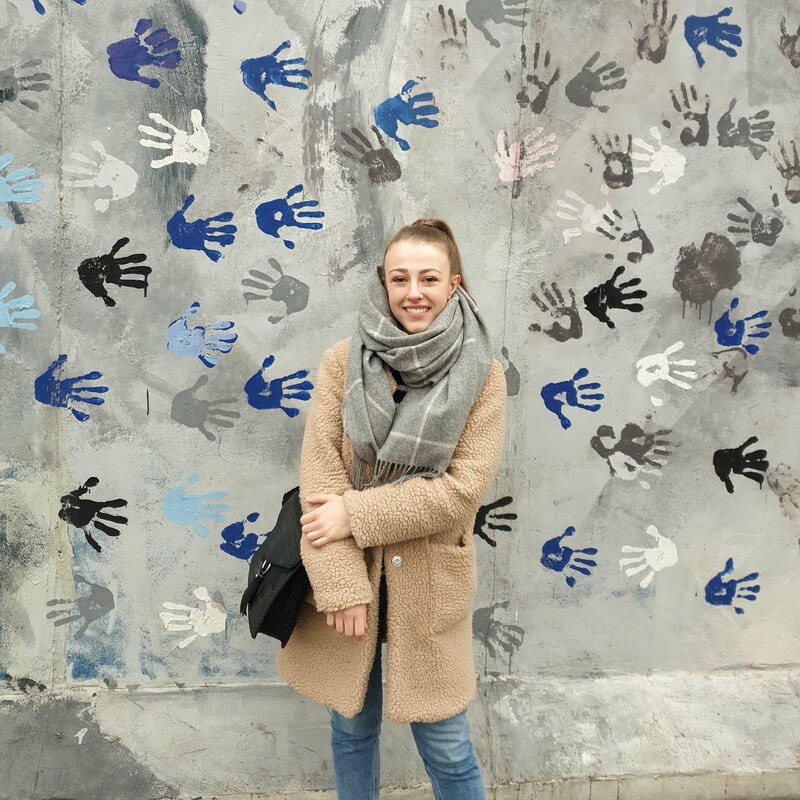 Do let me know if you try or have tried MintyCoco, and what you thought of it! I've tried oil pulling before briefly but like you couldn't really get into it, it is such a strange process and the texture isn't particularly nice! Shame you didn't see any results, it would be great to find a good chemical-free way to whiten teeth! That's so interesting to hear! Yes agreed!